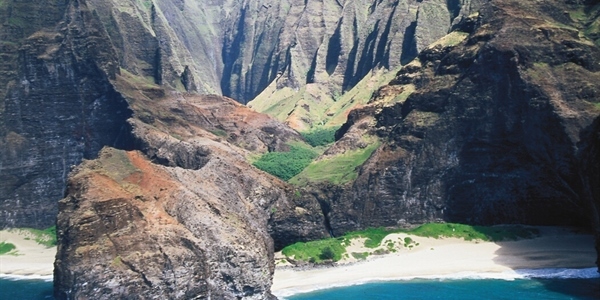 A week of hassle free diving along the western coast of Hawaii. 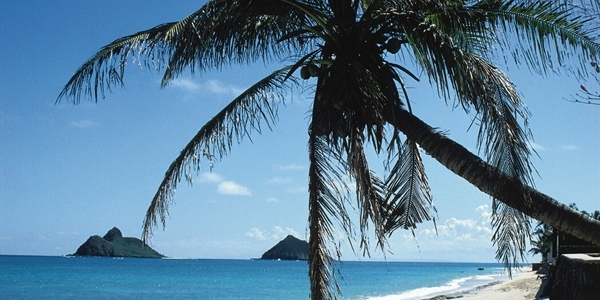 Spend a week diving around the beautiful islands of Hawaii. From the moment you check in you will be treated to a quality service you will remember forever. 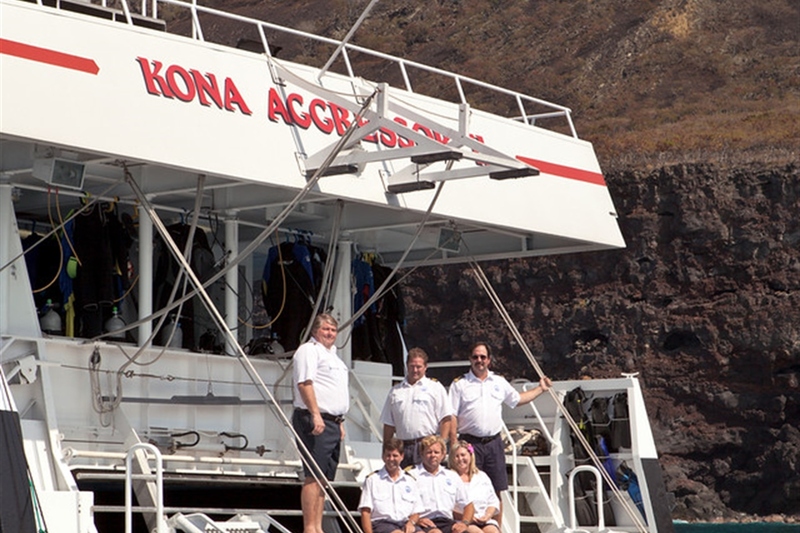 Kona Aggressor II is a 14 passenger catamaran offering a personalised service. 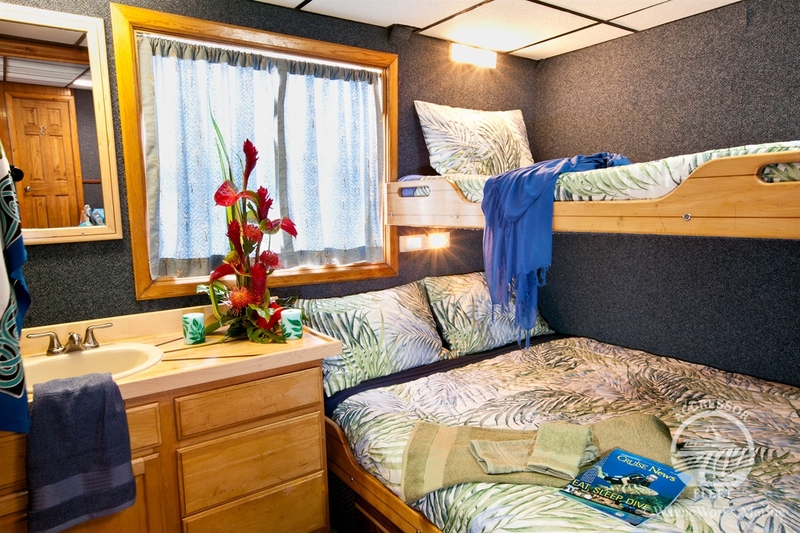 The Kona Aggressor II is a 14 passenger catamaran offering a week of hassle free diving along the western coast of Hawaii where 20% of the reefs and fish seen cannot be found anywhere else in the world. 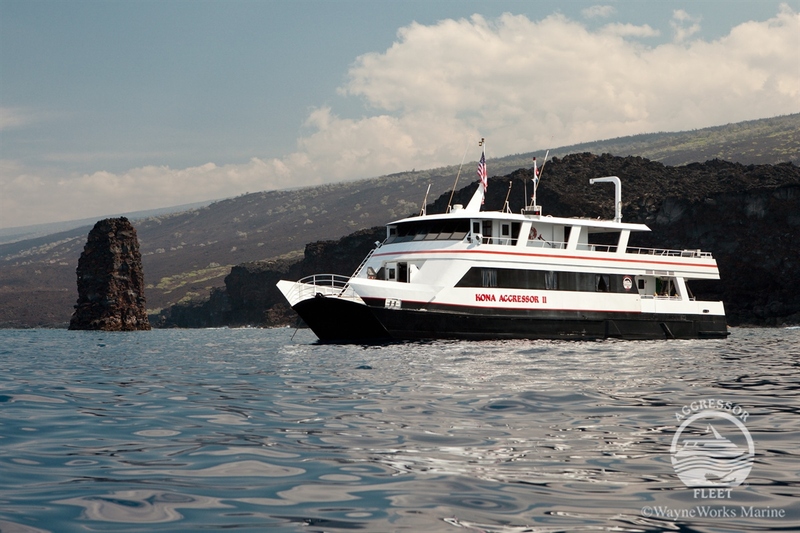 She departs every Saturday from Kailua-Kona providing guests with many amazing sites to dive whist cruising in pure comfort and relaxation. The 6 crew members aboard are experienced and friendly and are there to help you with any questions or queries you may have regarding the week’s itinerary. 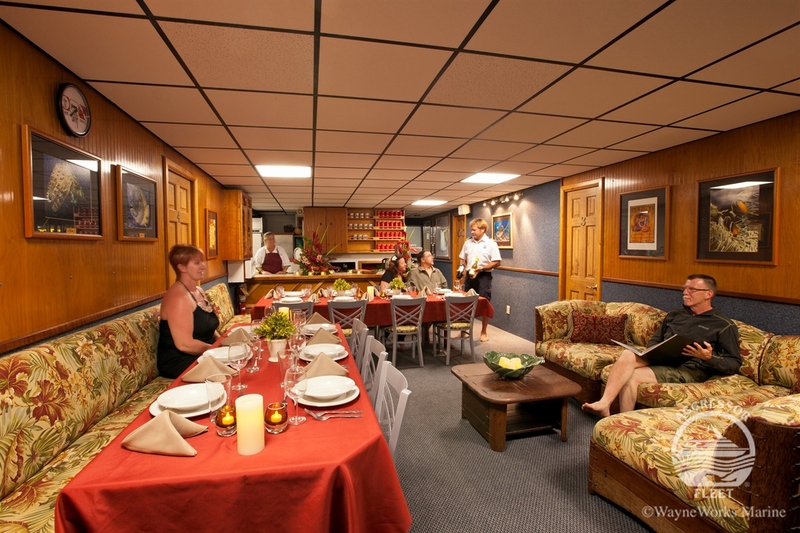 The 1 quad and 5 deluxe cabins are located on the main deck just off the salon. 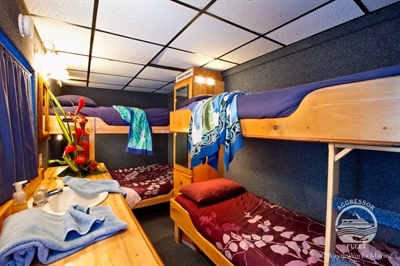 All cabins have en-suites, double bed with single bed above, air conditioning and a large window to take in the breath taking views. The air conditioned salon is furnished and designed for comfort and relaxation due to its big sofas and entertainment system suiting every guest’s needs. The sun deck is partially shaded offering guests a sun bathing area complete with deck chairs, chaise lounges, wet bar with a drink dispenser and a hot tub, the perfect place for guests to relax after a long day. The Kona Aggressor has a large dive deck where each diver has their own personal dive station complete with a seat and a locker. All tanks are in place and filled with either air or nitrox depending on the diver’s request with several dozens of 80 cubic foot cylinders aboard. A camera table with low pressure hoses, rinse tank, head and water fountain and a dive briefing area is also located on the spacious dive deck. Ladders lead down from the dive deck to the dive platform where 2 freshwater showers and fin racks are located making it convenient for divers. 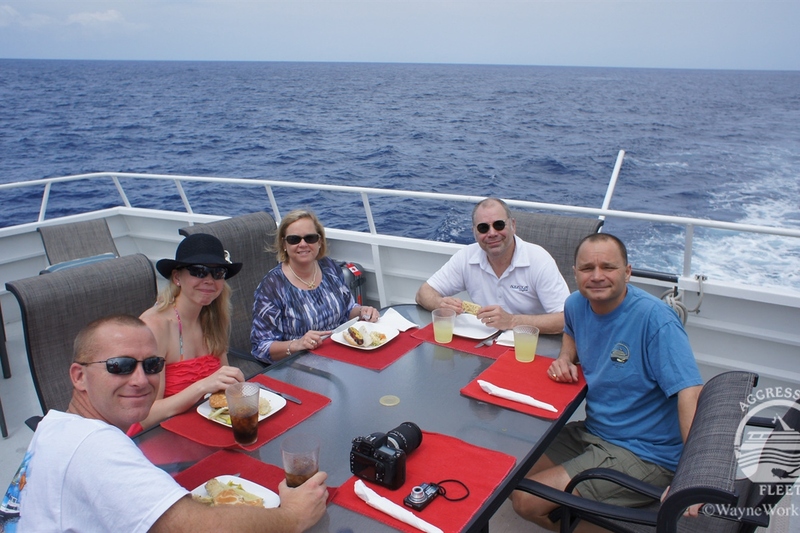 The Ultimate Diving team will offer you the best flight connections at the time of booking at an additional cost. 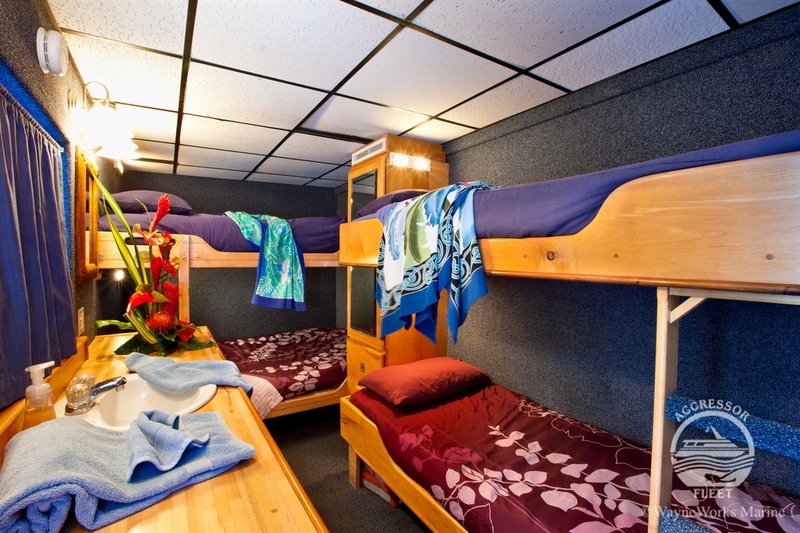 A comfortable stateroom with a picture window, double bed and a single bed (bunk-style), and private head and shower. Your stateroom is the perfect place to read a book, nap in between dives and fully recharge for the next day. 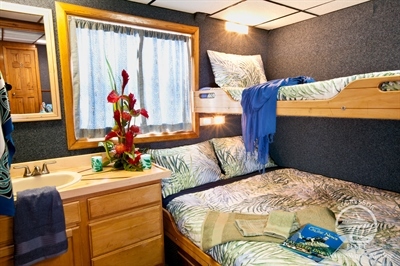 The large quad stateroom has two full beds (lower) and two twin beds (upper) bunk-style, window and a private head and shower. 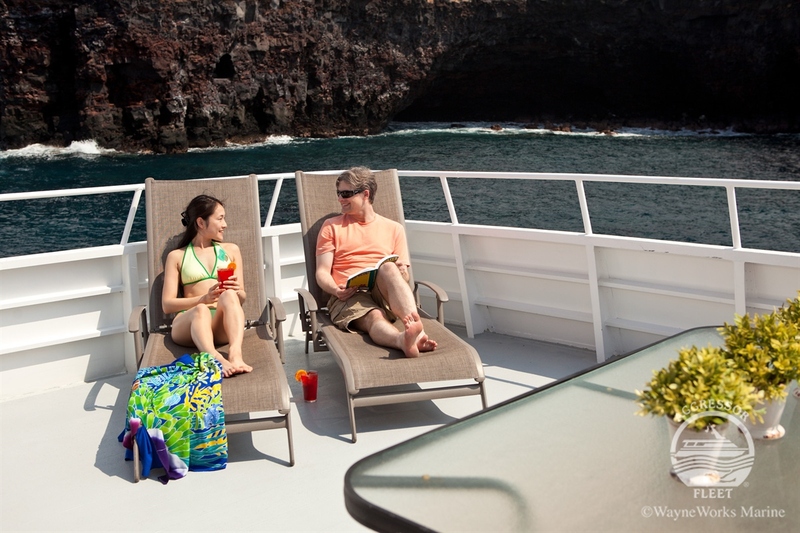 Your stateroom is the perfect place to read a book, nap in between dives and fully recharge for the next day. Offering a week of hassle-free liveaboard scuba diving along the western coast of the island at favorite sites like Paradise Pinnacle, Tubestria Tunnel, The Hive, Turtle Pinnacle and Rob’s Reef. 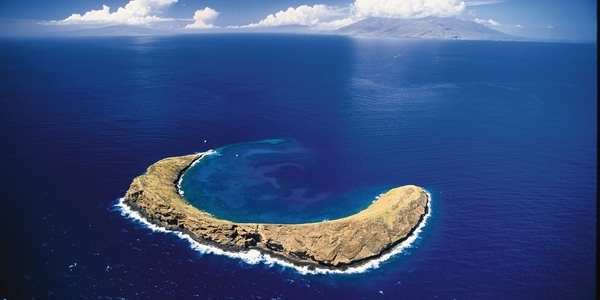 The Big Island's volcanic underwater topography is a diver's wonderland. 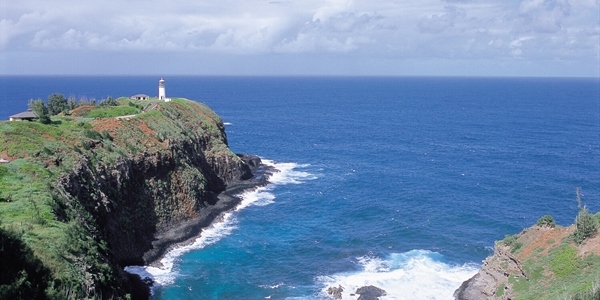 Lava tubes, bommies, arches and huge craters like “Au Au Crater,” create a spectacular backdrop for Hawaii’s many indigenous species of Butterfly fish. 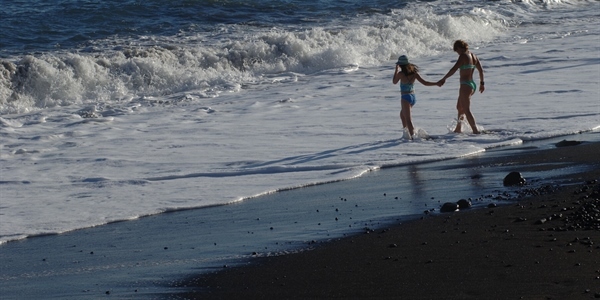 Photographers will delight in the many subjects like Spanish Dancers, turtles, mantas and frogfish. 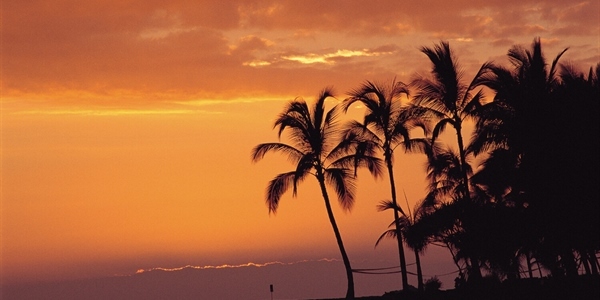 Kona is located on the Big Island of Hawaii. 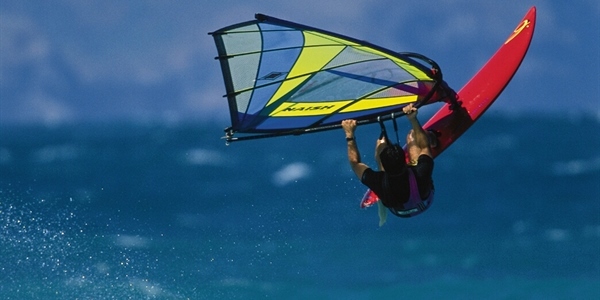 The KONA AGGRESSOR II™ operates out of downtown Kailua-Kona. The KONA AGGRESSOR II™ offers a week of hassle-free diving along the western coast of the island at favourite sites like Paradise Pinnacle, Tubestria Tunnel, The Hive, Turtle Pinnacle and Rob’s Reef. 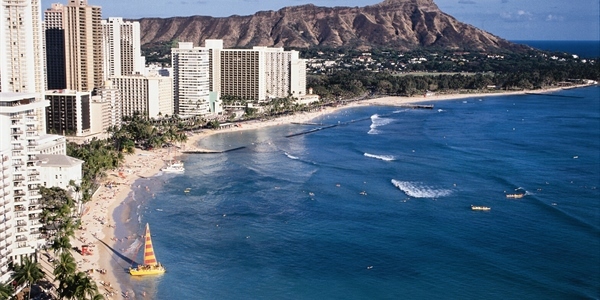 The yacht ventures far from the reach of day operators to beautiful South Point, the southernmost tip of Hawaii and the United States, weather permitting. With lava flows in the background, divers suit up for a week of spectacular diving. Excellent snorkelling is available for non-diving passengers. All diving equipment rental prices are based on per person per trip apart from the dive light and Nitrox. 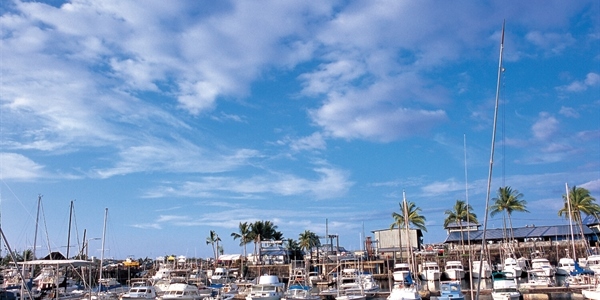 This is a great spot to get back into the swing of diving and do some buoyancy checks. Here divers will see White mouth Morays, feisty Damselfish, Wire Coral Gobies and a Divided Flatworm out and about on the reef. A fun dive with several turtles, some are quite large. It is an actual turtle cleaning station. A small pinnacle at 55 ft. marks the spot. 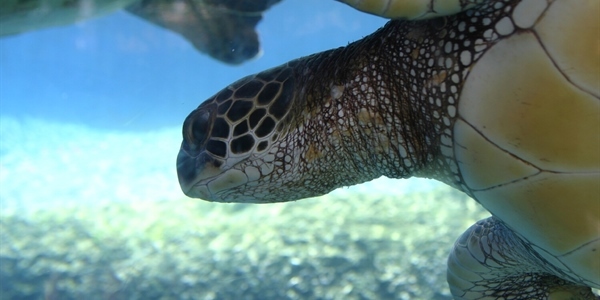 This is great opportunity for photographers because the turtles are still during their cleaning. Keep an eye out for schooling barracuda. 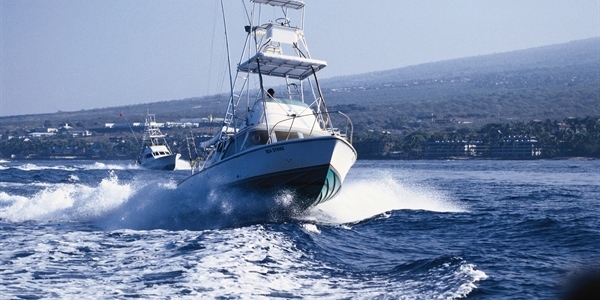 This is a beloved Kona Coast diving classic. 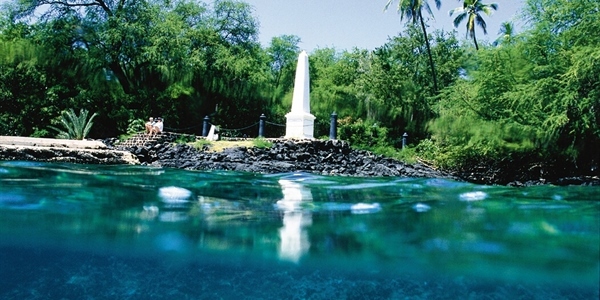 Also off of Miloli'i Village. 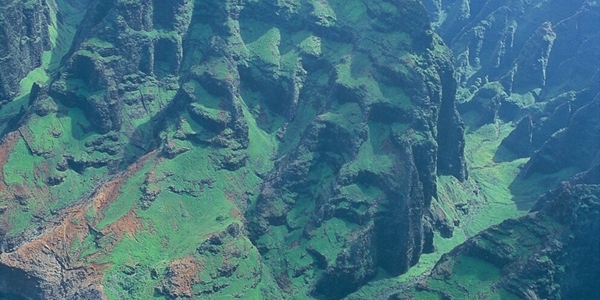 Lava fingers extend from shore to form a peninsula of canyons & ridges & swim throughs. The feature tunnel is 20 ft. wide, 10 ft. high & 40 ft. long. It is covered with beautiful tubastrea coral. There are 3 resident frog fish. Keep an eye out for sharks. An exciting dive off a point where there can be a slight current feeding hundreds of Thompson's butterfly fish and schools of fish. This site has a sandy bottom with white-tip sharks. 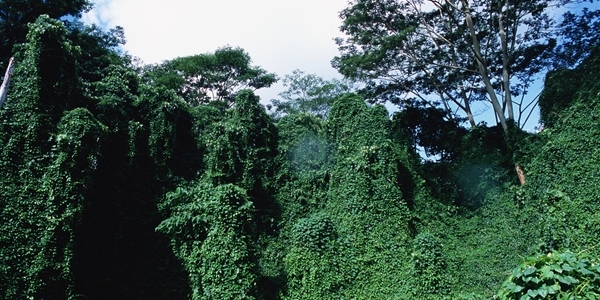 A finger coral garden drops steeply to rubble & boulder sloping into the endless blue. 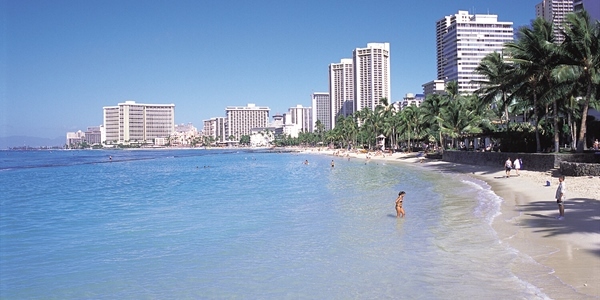 The shallows feature swim through tunnels, arches with sky lights & streaming sun rays. Four large bommies from 25-65 ft. deep crowded together. Titan scorpion fish, turtles & wire coral with gobies. Vertical wall starting at 45 ft. dropping to 100-150 ft. Lots of eels, octopus, pyramid & Thompson butterfly fish. The boat is moored in 50 ft. on a sand chute which drops to 90 ft. where the first black coral tree grows; from 90 ft. the black coral trees are endless. The rare longnose hawkfish lives here along with barracuda & viper eels. 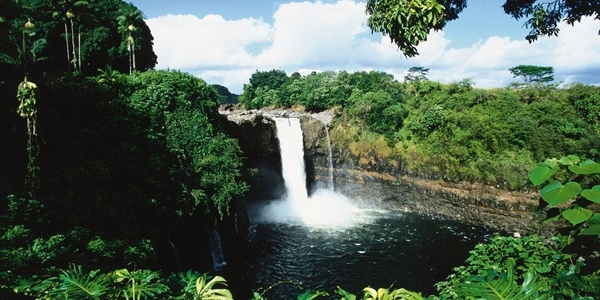 This is a protected and lagoon like site. Here divers will encounter tons of critter sightings here today including, a Magnificent Snake Eel, a Spotted Eagle Ray out cruising, a huge Yellow Trumpet fish, an Anemone Crab trying hard to hide and a gorgeous Snow Flake Moray. 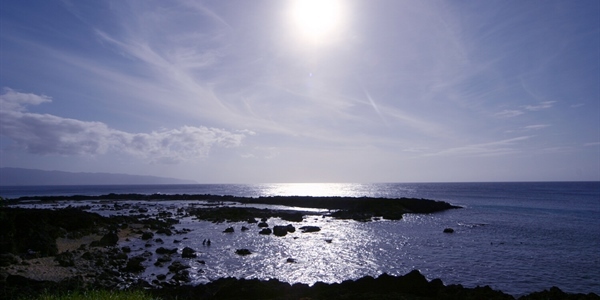 This is one of 2 sites off Miloli'i, oldest traditional fishing village in Hawaii. Lava ridges & bommies twist & turn to create the walls of a "maze" at 55 ft. Tinker's butterfly fish, bandit angels, eagle rays and peacock groupers. 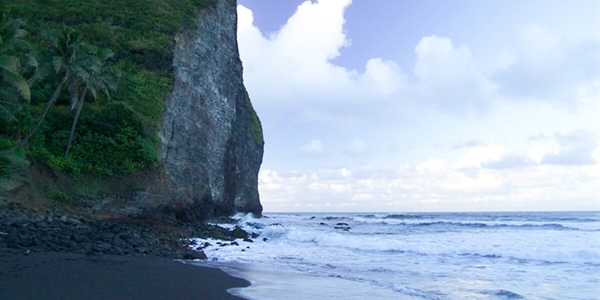 A submerged volcano crater with 3 sides intact, the ocean side wall has fallen. These Hawaii diving walls range from 30-70 ft. & 50-200 ft., very dramatic topography with cleaner shrimp station, turkey fish and nudibranches. 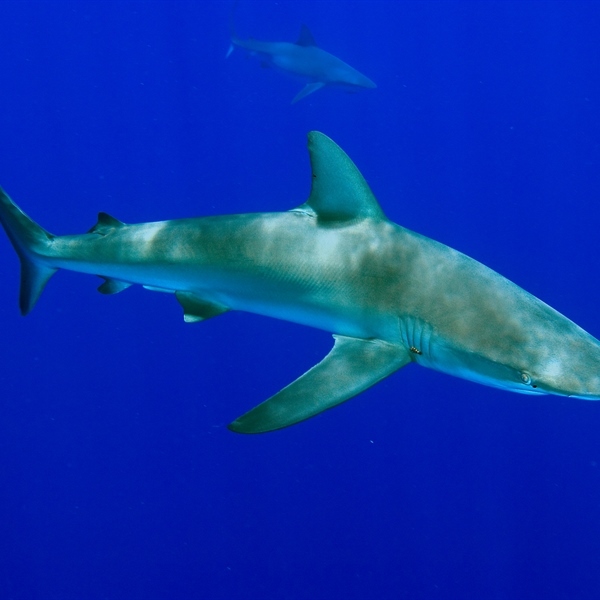 Good spot for pelagics such as large turtles, oceanic white-tip sharks, hammerhead sharks, & large jacks. This site is a 200-foot lava tube with 3 large rooms. There is one way in and one way out. The dive is set up with line & cylume sticks to follow. Inside the caves there are mole lobsters, ghost shrimp, Hawaiian lobsters, puffer fish and nudibranches. Outside the cave there are frogfish, Reticulated Butterfly fish & turtles. This is an excellent Hawaii diving classic upon request. 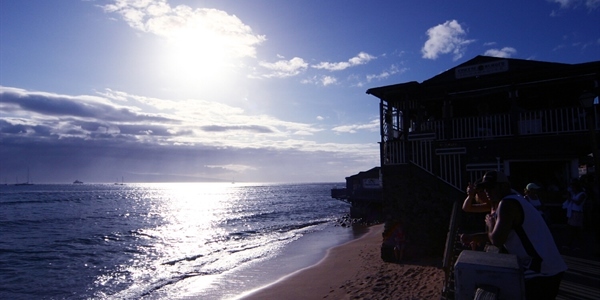 Divers can swim from the dock to the reef wall that drops straight down to the sand at about 130 feet. 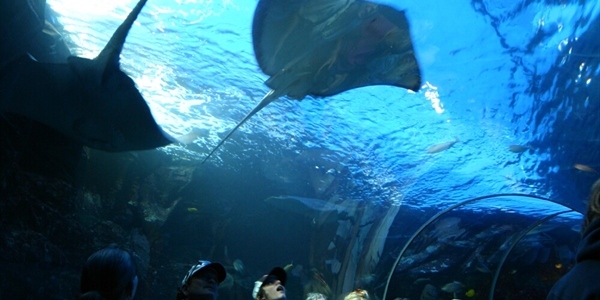 Here you will have the opportunity to see passing puffer fish, tiger grouper, eels and admired the coral and fish. Just off the boulder strewn coastline it drops abruptly over into the abyss, so the first divers in the water may see hammerheads, or eagle or manta rays. Much of the dive will be done in shallow water, as the coastal ledge is barely below the surface. Large schools of black bar soldier fish hide beneath the undercuts, and another resident frogfish filled out the resident list. This often forgotten gem of a dive is difficult to get to on account of unpredictable seas and weather. 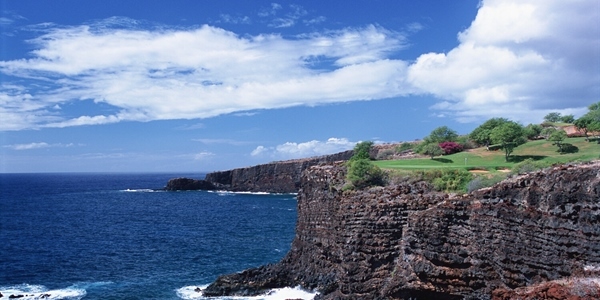 But once visited is worth the wait, with broad ridges of lava and coral in grand dimensions. With the underwater topography often looking like undersea canyons that are usually only visible in deep water. Many reef fish with abundant critter life on the walls of the canyon. Corals are a little sparse, but the underwater terrain at this site has some very intriguing features. 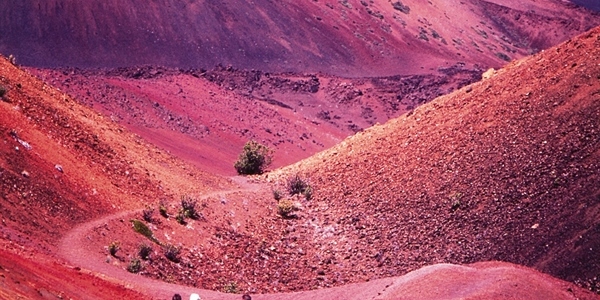 Many rock ledges and a few lava tubes which are easy to enter. Good chance to see white tip reef sharks. 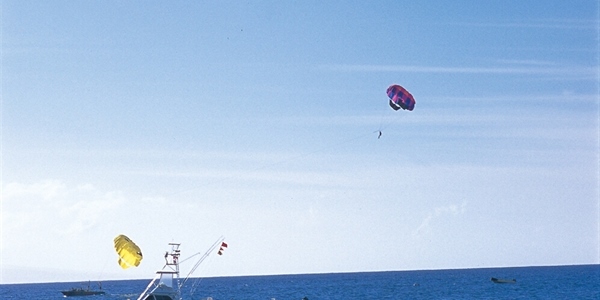 A new mooring installed in 2001. 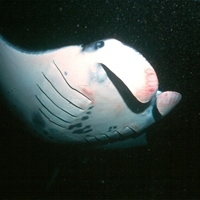 Mantas are often spotted during night dives. 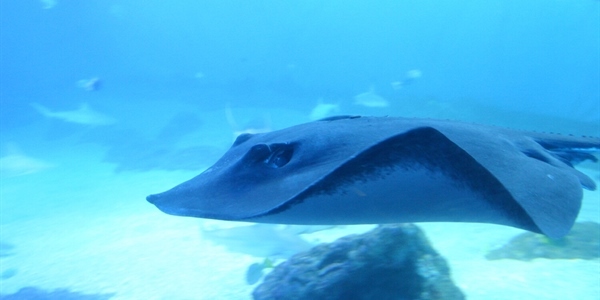 Lights are lowered into the water to attract tiny organisms for the hungry mantas. A very exciting dive.